Discovery adds a whole new level of complexity to our understanding of how break corrections in DNA happen. 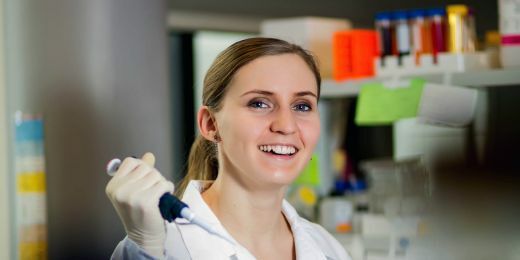 In the recent months, the laboratory of Lumír Krejčí from Masaryk University and International Clinical Research Center made a major move forward in understanding the mechanism of how some types of breast and ovarian tumors develop. The discovery that can mean a great step forward in treatment is so significant that it was published in one of the most prestigious scientific journals, Cell. It was only the third time in ten years that experts from the university made it into a journal of such standing. The scientists discovered long searched for functions of a family of proteins that suppress development of tumors. These proteins participate in repairing breaks of DNA by means of a process called homologous recombination in which information from an undamaged copy of DNA is copied into a place where the break occurred. 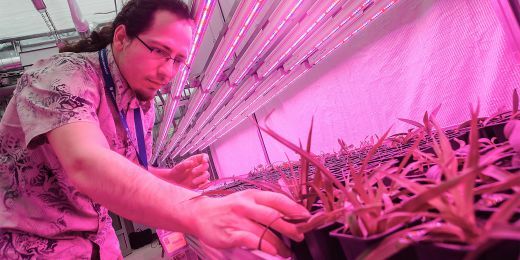 “If this process fails, the non-repaired mutations in DNA might cause cells to lose control over their growth and behavior, which might then lead to development of tumors,” explains the head of the research team, Lumír Krejčí. In each phase of the recombination process, the reaction is controlled by so called mediator proteins, amongst them BRCA1 or BRCA2 proteins, or paralogs (that is, similar proteins) of the Rad51 protein. When the Rad51 paralogs mutate in human body they increase the risk of developing ovarian and breast cancer, and also Fanconi Anaemia – a genetic disease which besides other issues causes leukemia and bone marrow failure. Behavior similar to that of paralogs is also found in the better known mutations of genes BRCA1 and 2. It was such mutation of the BRCA1 gene that the actress Angelina Jolie was diagnosed with. Due to a rather high risk, she then decided to undergo breast removal surgery. 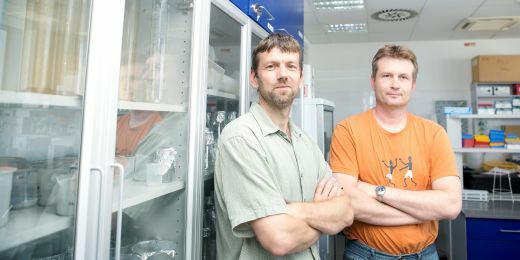 The research group of Lumír Krejčí focused on studying the biochemical function of the Rad51 paralog, which was evading scientists for three decades since in many organisms these paralogs are difficult to work with. „We thought for a long time that the task of the Rad51 paralogs is similar to that of the BRCA2 protein,” explains Krejčí. “We supposed that paralogs are responsible for delivering the key protein Rad51 to its destination. But we found out that these proteins then cause a change in the Rad51 molecular structure in the place of the lesion. This facilitates, but also dramatically increases its repairing capability,” describes Krejčí. Discovery of this mechanism was absolutely unexpected for the researchers and adds a whole new level of complexity to our understanding of how break corrections in DNA happen. Description of the whole process means enormous progress for the scientist, even if it does not bring immediate benefits to patients. But if mechanisms of the illness development are described, experts then know what they should focus on when they detect a risk. „I expect that scientists' attention will now shift to this kind of cancer originator. 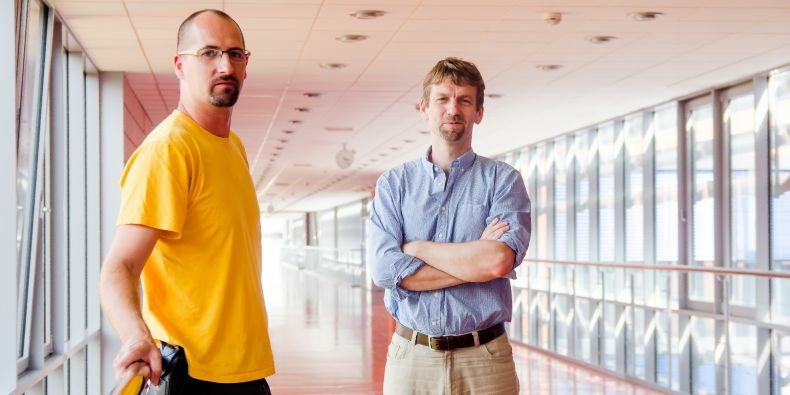 Now a whole new sphere of possibilities where to find specific therapeutic substances opens up to us,” said Krejčí, adding that part of his team are devoting themselves to looking for and testing substances that would kill specific kinds of tumors.